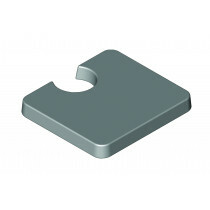 The types BA and BB are commonly used in pairs to clamp two steel sections together. 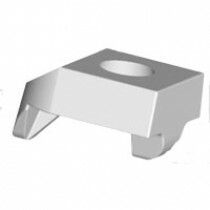 The type BA has a recessed top to grip the head of a grade 8.8 setscrew or bolt, this allows a nut and washer to be tightened down on to the flat top of the BB using one tool only. 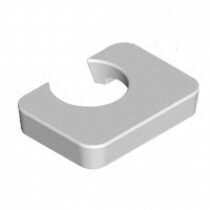 The BK1 is a self adjusting fixing that consists of two parts. 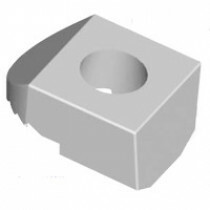 The main body provides a recess to allow a hemispherical washer to be seated. 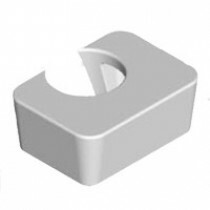 This allows the body to adjust between a specified clamping range and as the washer rotates it provides a flat surface for a nut. 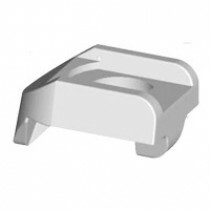 The types BT and BW are specifically designed with a 10 degrees sloping nose. 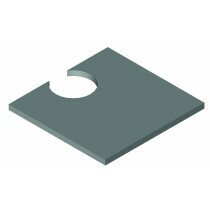 This sloping nose makes them ideal for fixing on to tapered steelwork such as RSJ’s or crane rail sections. 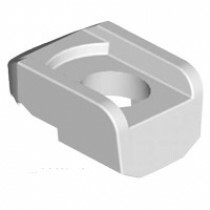 The type BT has a recessed top to captivate the head of a grade 8.8 setscrew or bolt, the type BW has a flat top to allow a nut and washer to be tightened down on it. The BE1 and BE2 feature a socket screw at the back to provide adjustment for varying steel thicknesses. 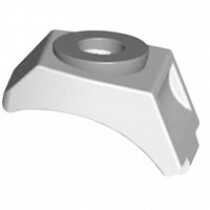 They are the ideal choice when flange thicknesses are unknown or change on a project as they eliminate the need for packing pieces up to their maximum adjustment. 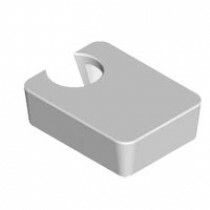 The types BC1 and BD1 are designed to hook over the upstanding flanges of angles or channels. 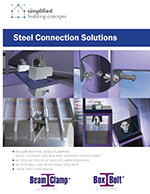 They can be used together for channel to channel connections or in conjunction with our other clamping products for making angle/channel connections to other types of steel. The BC1 features a recessed top to grip a bolt head and the BD1 has a flat top to allow a nut and washer to be tightened on to it. The BL flange clamp is a heavy duty clamping assembly that is used for securing steel together without the need for a location plate. The two piece design allows it to adjust to different combinations of steel thickness but still ensuring it clamps at 90 degrees to the steel. 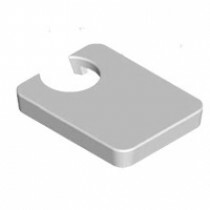 Our range of packing pieces is designed to provide support to the underside of clamps to ensure they clamp on to the steel at the correct angle. We have a series of short packers designed for the BA, BB, BT and BW clamps and a long series for the BE1, BE2 and BK1 clamps that reach further back on to the supporting steel. The location plate is an important part of a BeamClamp assembly. 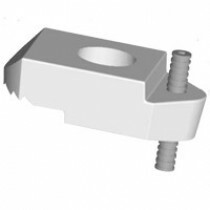 It provides support for the rear of the BeamClamp fixings to react against while the front of the product clamps down on to the steel. 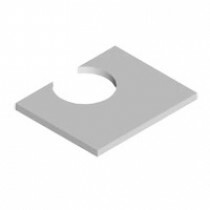 The hole centres are designed to suit the widths of both the upper and lower members and to ensure that the fixings are located as close to the edge of the steel as possible. The adjustable rigging clamp is a self adjusting, ready to install clamp capable of safe working loads of up to 22.2 kN. 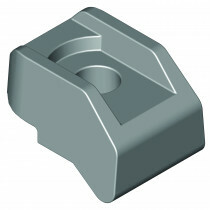 The shackle connection allows loads to be applied up to 45°. The adjustable rigging clamp can accommodate a variety of flange widths and thicknesses and is installed without the need for any drilling or welding to the support beam. The BB long nose is very similar to our standard type BB but with an extended nose. This distributes more contact on the flanges of parallel beams providing, contact closer to the web. The type BY clamp is designed for high friction and tensile applications that exceed the capacities of the standard BeamClamp products. 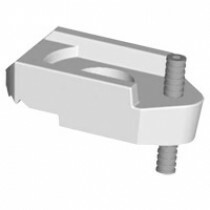 It features a recessed top that prevents the head of the bolt from rotating during installation therefore requires the use of only one wrench. 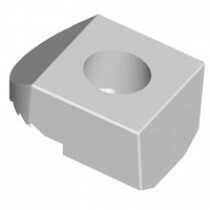 This range of packing pieces is designed to provide support to the underside of type BY clamps to ensure they clamp at 90 degrees to the steel and provide a flat surface for the bolt head or nut to be tightened down on to. 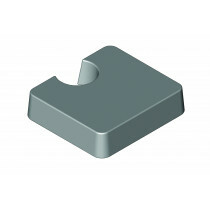 These can be used in various combinations with the two tail lengths of BY clamps to achieve the best clamping position.